Did you know the American cider market has proven to be the single fastest-growing segment of the alcohol market? In 2014, cider sales alone grew by more than 75%. Angry Orchard has been and continues to be at the forefront of the market, experimenting with different flavor profiles and styles to continue to drive excitement and produce inventive styles for cider enthusiasts and new drinkers alike. 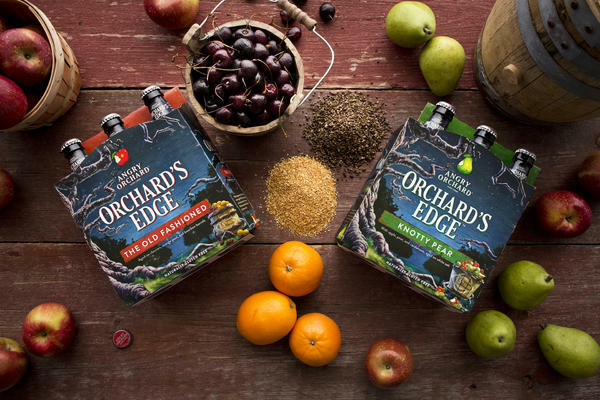 The new Orchard’s Edge styles — Knotty Pear and The Old Fashioned are just two of the new innovative styles that highlight all that cider can be. Angry Orchard’s head cider maker, Ryan Burk has a wealth of knowledge about the overall market, innovative styles and up and coming trends in the industry and it shows in his creative ciders. For more information visit http://www.angryorchard.com.